If Google Translate is correct, laaksum is the Frisian word for salmon, a metaphor for swimming upstream through the challenges of life. The title is apt; in the opening moments of “Laaxum” (the track), we can even hear the water. Netherlands musician Silmus continues to release kind, positive music, and in his third outing he’s joined by familiar friends Minco Eggersman and Jan Theodoor Borger (UNIFONY) along with Israeli cellist Guy Gellem. The combination of piano, strings and guitar is a restive reflection of the lake after the long swim, when the salmon are lounging around the lake, smoking cigarettes and waiting to give out cigars. Given the title, it’s a bit disjointed to include a feather on the stark cover; one thinks of Echo & the Bunnymen’s Icelandic image for Porcupine. But birds are tweeting in that opening piece as well, going about the business of life, present at the beginning and the end. And Silmus’ music is certainly airy. 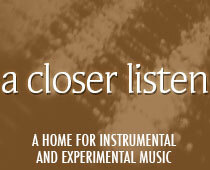 As mentioned in prior reviews, the twin influences of ambient and post-rock are never far from the sonic field. The cello-laden “Dancing on the Pier, Discovering the Sea” is a fine example of the first, while the guitar and bass of lead single “The Spirit of Morning Light” reflects the second. But this piece also retreats from its riffs to plunge back into ambience, as if to imitate the excitement of sunrise followed by the calm reassurance of light. There’s only nine hours of sunlight in Amsterdam at this time of year ~ more than other northern climes, but still a precious commodity. In titles “Silence Is Black,” “Wintering” and “Lay Myself Down,” one can intuit a reference to seasonal affective disorder; and the longest piece, “Silence Is Black” sounds a lot like an extended winter.